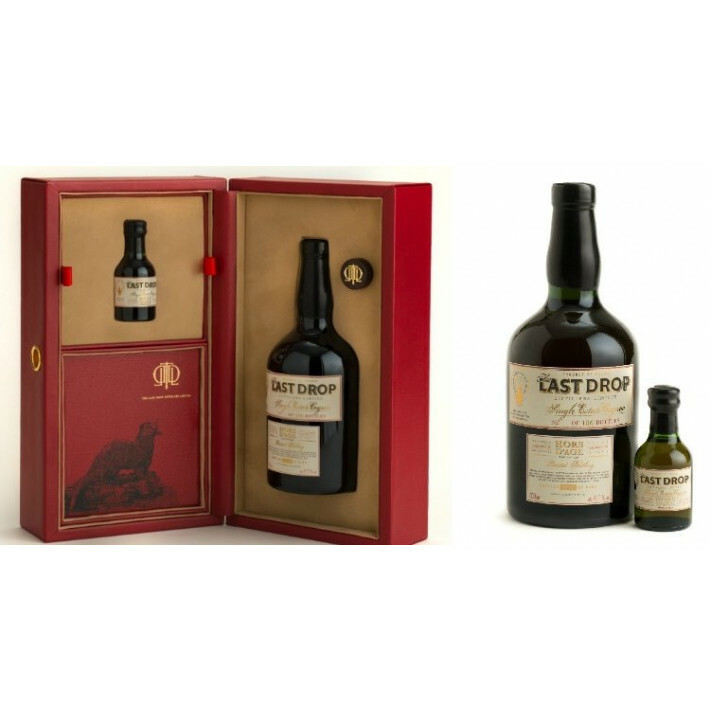 A truly special and unique Cognac, The Last Drop Distillers 1947 Hors d'Age Cognac is one of the first post-World War II distillations created. And at last, in the 21st century, we have the opportunitiy to own and taste it. However, only 186 bottles of this little piece of history have been produced - so when it's gone, it's gone. It was traditionally produced, distilled in a small copper still and then left to let the passage of time work its miracle. Said to have 'the richness of summer flowers', yet still be fresh, young, and delicious, this wonderful Cognac comes presented in a deep-red, leather presentation case, complete with an additional miniature version (50ml) of the same bottle. A Certificate of Authenticity is included, a tasting booklet bound in leather, and a custom made stopper.